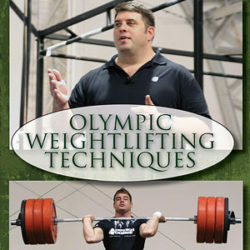 This is the discounted physical DVD set of Dan John's Utah workshop video. This is the discounted physical DVD set of Dan John’s Utah workshop video. In this lecture (2 hrs, 18 min), strength coach Dan John covers what he considers the most important aspects of strength training for the athlete, as well as the general fitness enthusiast. Dan John's kettlebell technique session taught a group of workshop attendees subtle differences in technique, and these changes Dan teaches will significantly affect your kettlebell training results. This is part four of Dan's Utah workshop, the final DVD of the series, in which he shows his sample warm-ups, a few workout varieties, and his famous barbell complexes. Trust us, these aren't your regular bodypart splits.